Knox Orthodox Presbyterian Church was born on this day in 1936 in the Shoreham Hotel in Washington, DC. Fourteen members of various PCUS churches gathered to establish a witness to the nation’s capital that was true to Scripture and the Westminster Standards. At that initial meeting the church elected two ruling elders and the Rev. Leslie W. Sloat as its pastor. Eight days later the congregation was received into the Presbytery of Philadelphia of the Presbyterian Church of America (later OPC). After Pastor Sloat resigned in 1939, the Rev. Henry D. Phillips pastored Knox until 1943. Struggling at that point to find an adequate meeting place in the District of Columbia, the church moved to Silver Spring, Maryland, and it called the Rev, Glenn Coie as its third pastor in 1945. One member of Knox recalled Coie’s coming to Knox in this way: “this man was so energetic that on his ten-day visit to candidate for pastor, he canvassed the neighborhood, made a preliminary deal for the land on which the church building stands, and located an architect. By 1950, the church was self-supporting, having grown from fourteen to almost two hundred members.” As the Washington suburbs expanded after World War II, the church became the witness to the nation’s capital that its founders envisioned. Under the leadership of Charles Ellis (Coie’s successor who served from 1955 to 1979), the church planted daughter works in Vienna, Virginia, and Burtonsville, Maryland. Thomas Tyson pastored the church from 1980 to 1989, and he was followed by Thomas Martin, 1991 to present. 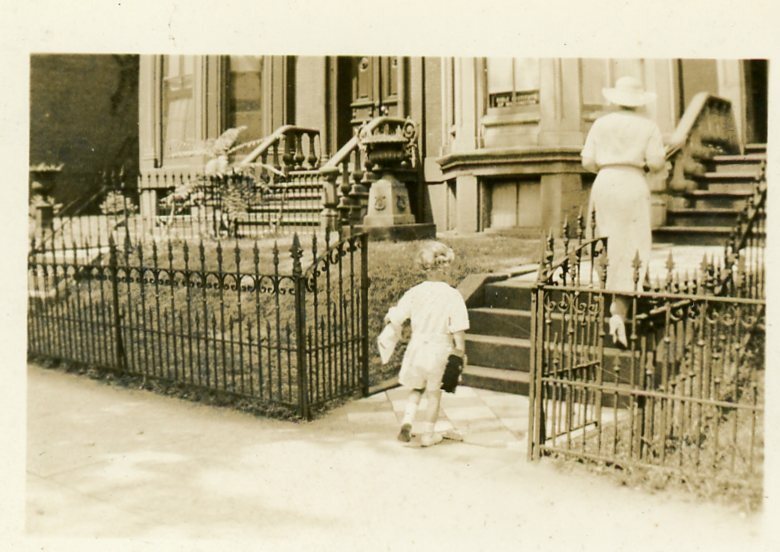 Picture: a young parishioner, believed to be Francis Sloat, at Knox OPC in 1937.